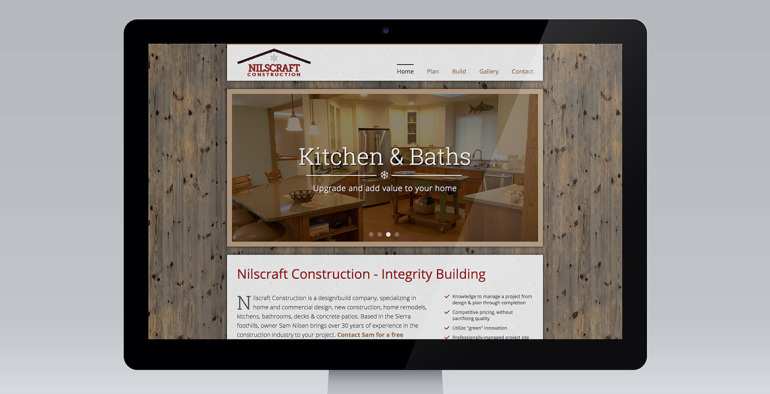 Recently launched a newly re-designed website for Nilscraft Construction, a contractor based in Arnold, CA in the central Sierra Nevadas. Sam Nilsen wanted a refresh to the look & feel as well as a way to display his portfolio of projects. Using a custom wood texture, a warm color palette, on-the-job imagery and a nice image gallery, Nilscraft’s new site is an effective and engaging experience. Check out more here.